Getting your target audience to step foot in your retail store, or to click over to your ecommerce website, isn’t exactly easy. And, of course, there’s absolutely no guarantee that everyone who checks out your store will end up making a purchase. While average brick-and-mortar conversion rates hover around 35-60%, an online conversion rate of just 4% would actually be considered above average. First things first, we need to explain what merchandising actually is. Any strategic change made to the placement and organization of a product and the surrounding environment (or “atmosphere”) done for the purpose of optimizing visibility and spurring conversions. However, this is not to say that merchandising is “salesy” in nature. The purpose of merchandising is to present your products in just the right way, at just the right time (in terms of your visitors’ literal in-store/on-site journey), so that you enhance both your customer’s experience and their propensity to purchase the item in question. 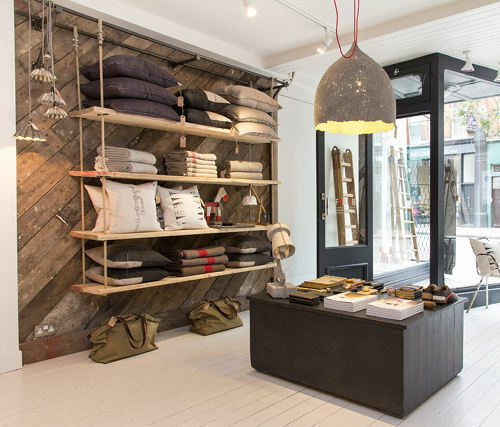 Another key part of merchandising is that it fits into the overall “feel” of a given brand. To illustrate this point, consider the differences between Target and IKEA: While both stores offer many similar products—from furniture and home decor down to kitchen utensils—the way in which each store presents these products differs wildly. We probably don’t need to tell you which is which, right? 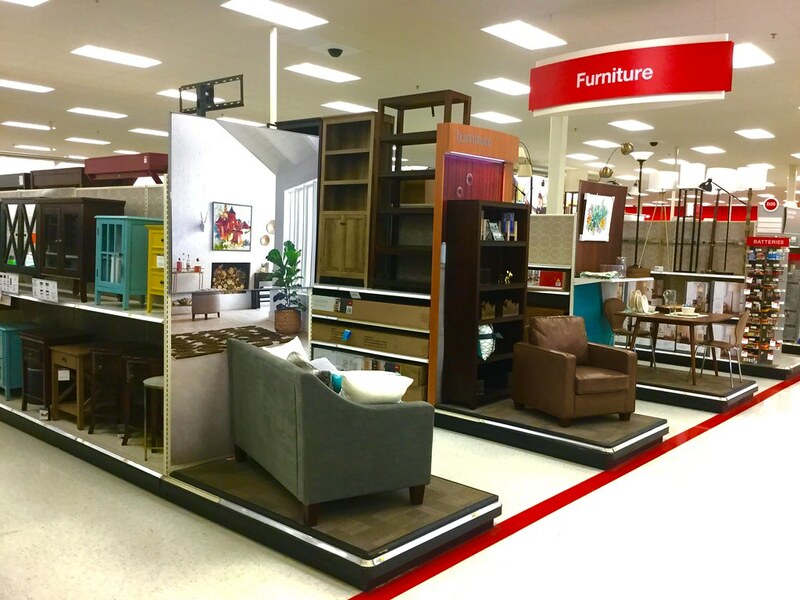 From each store’s layout and lighting to their approach to product organization (and more), IKEA’s and Target’s approach to merchandising couldn’t be more different—in spite of the fact that they both sell many, many similar items. Branded changes to your store or website done for the explicit purpose of showcasing products and increasing sales. If this is still a bit vague, stay with us: In a moment, we’ll dig into some of the key aspects of both on- and offline merchandising. First, though, let’s talk about why merchandising is important in the first place. 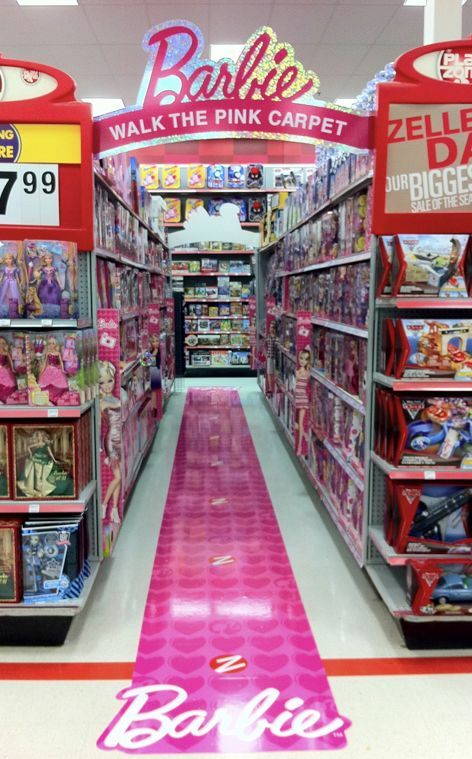 Why is Merchandising So Important? If your customers are enjoying their experience in your store or on your site, and are more aware of everything you have to offer them, there’s little to no doubt that they’ll continue to do business with you for a long time to come. That being said, let’s now dig into the various elements of merchandising, as well as some best practices for approaching each. The overall goal, here, is to provide a consistently positive experience to your customers. Whether they’re shopping on- or offline, or visiting a different brick-and-mortar location than usual, they’ll expect your company to provide an altogether consistent experience across the board. 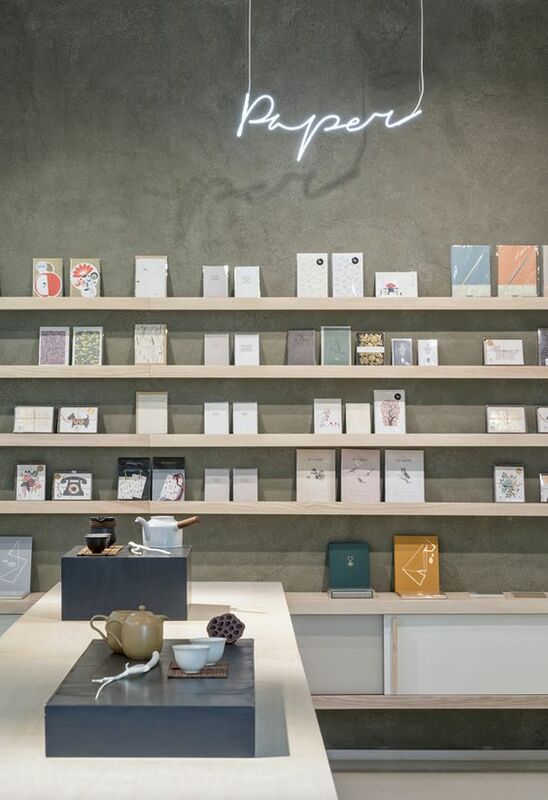 Since, as we just talked about, your approach to merchandising plays a pretty big role in defining your customer’s experience, consistency is key to ensuring this experience is nothing but spectacular. Hopefully, you by now have at least a basic idea of what merchandising is, and what it “looks like” in reality. Of course, since brick-and-mortar and ecommerce are two totally different animals in this regard, let’s take a look at each separately. However, this isn’t to say that you need to choose one or the other, here. Rather, you’ll want to consider implementing aspects of each within your own approach(es) to merchandising throughout your store. That said, let’s still take an individual look at each of these elements. As we said earlier, you probably have a pretty good idea of what merchandising “looks like” by now. 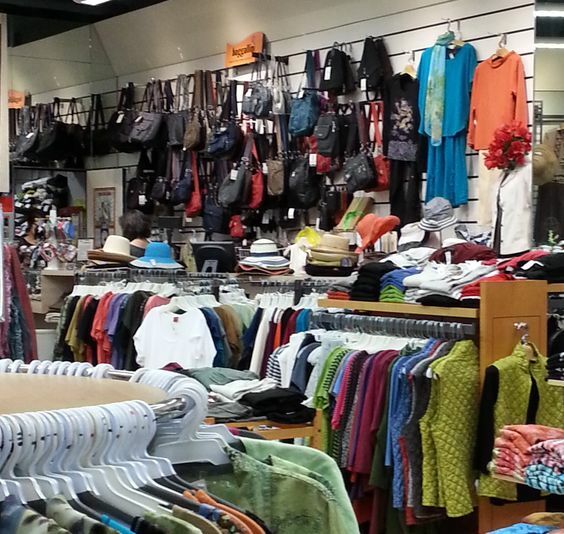 Chances are, what you’re really picturing is visual merchandising. Visual marketing is where environment and atmosphere combine to create a positive customer experience that increases the chance of conversion. At any rate, let’s take a look at the most common aspects of visual marketing in retail stores. First and foremost, product displays are key to showcasing—and getting customers more interested in—specific items. While the tactic is certainly nothing new, that doesn’t mean you can’t get creative and have fun with the way you approach your displays. Whether attracting your customers to specific products or to your store in general, creative product displays are an essential part of your merchandising playbook. Stores typically use signs and images for one of three main purposes. 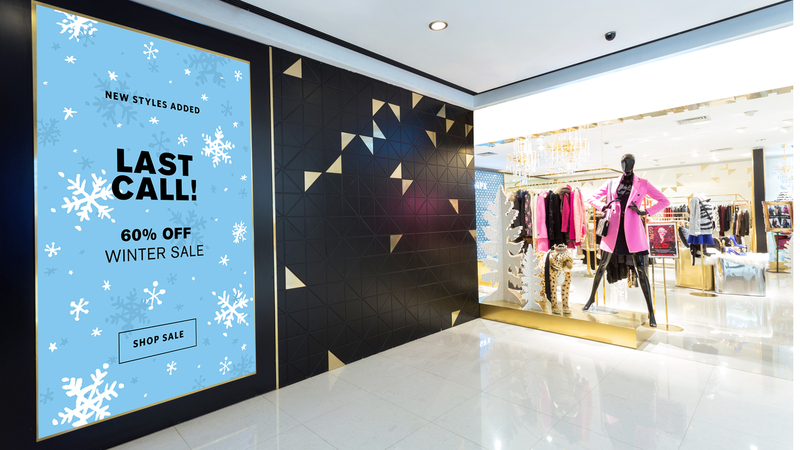 As a quick note, while your signage should definitely be unique and eye-catching, you don’t want it to unintentionally distract your visitors from the actual product or sale you’re promoting. So, make your signage inviting, and ensure it fits in with your brand’s overall feel—but also make sure it points your customers in the right direction. Even if you aren’t exactly sure how it all works, you probably know that color has a huge impact on consumers on a more subconscious, psychological level. While there’s certainly a lot to take in, there, it’s definitely worth experimenting with different colors for different purposes. On a more basic level, you want to ensure the various colors you use within a given area simply “go with” one another. Of course, there are an almost infinite ways to go about doing this. That is, if you don’t pay attention to color at all, you’re nothing doing it right. Period. A big part of visual marketing is quite literally putting your products in the best light possible. 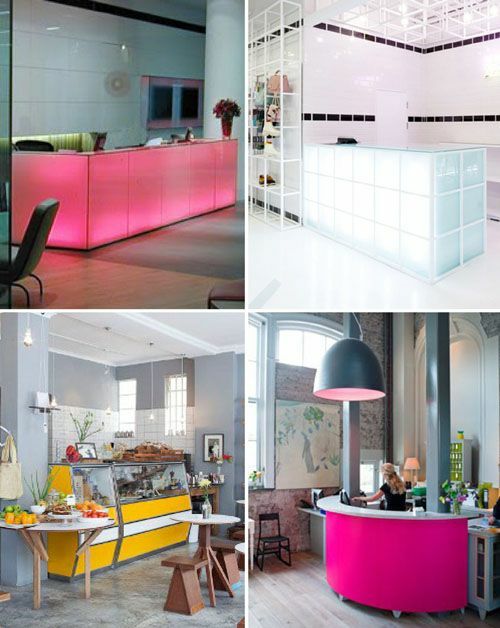 All kidding aside, lighting is similar to color in that it can be used for a variety of purposes in terms of providing for the customer. Again, while there are many ways to use lighting correctly, ignoring it altogether is a recipe for disaster. While we hate to pick on the same example twice, it’s definitely worth pointing out that the lighting is equally as poor as the color scheme, here. 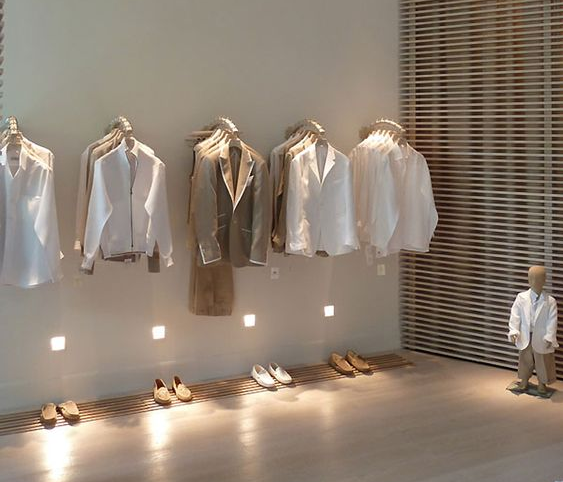 Finally, the layout of your brick-and-mortar store is important for merchandising purposes, as it essentially determines how your visitors navigate throughout the building. As we mentioned earlier, IKEA is perhaps one of the most known examples of a company designing its stores in such a way as to get customers to at least pass by every product they have to offer. 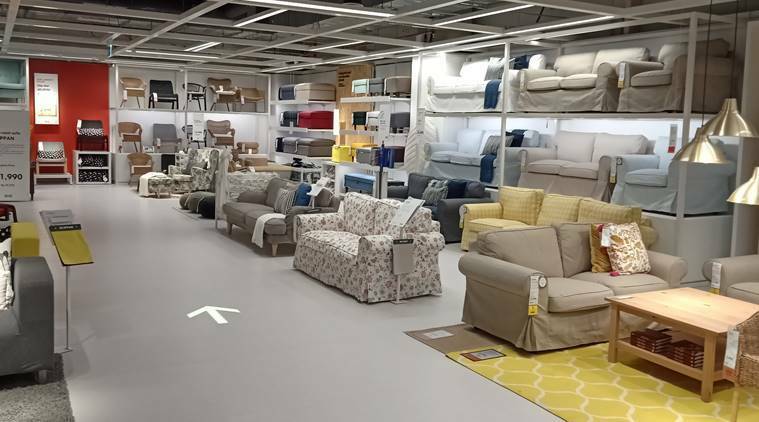 Now, this is not to say IKEA’s method(s) are the best; they simply stand out above the more traditional department store layout used by most companies. While we’ll talk more about layout in terms of product placement in the next sections, the main thing to take away, here, is that your layout needs to simply make sense to your customers. The easier it is for them to find what they’re looking for, and to get to the area of your store they want to be in, the more likely they are to leave with some new items in-hand. We’ve talked about cross-selling before, so let’s quickly talk about how merchandising and cross-selling intertwine, here. Basically, cross-merchandising is the act of presenting together multiple products that are related in some way, either on display or for purchase, so as to promote the purchase of all of the items in one exchange. Effective cross-merchandising requires that you think about what your customers really want to get from using your products in the first place. Then, you can create product displays and such that feature all of the items you offer that will enable them to reach this goal. 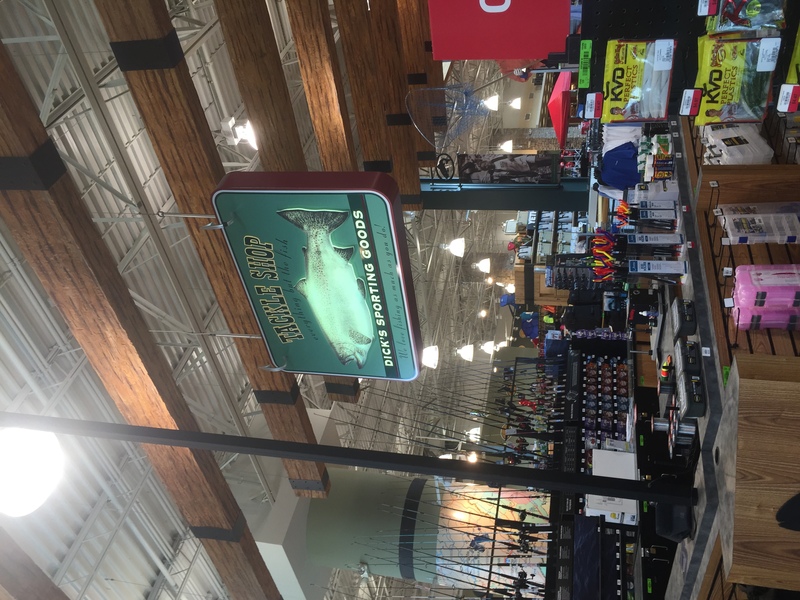 Now, this is admittedly pretty standard; of course you’d present your fishing equipment all in one place, your hunting equipment in another, and your basketball-related products elsewhere. But cross-marketing can get much more granular than that. Now, there are two important things to take away from the above example. 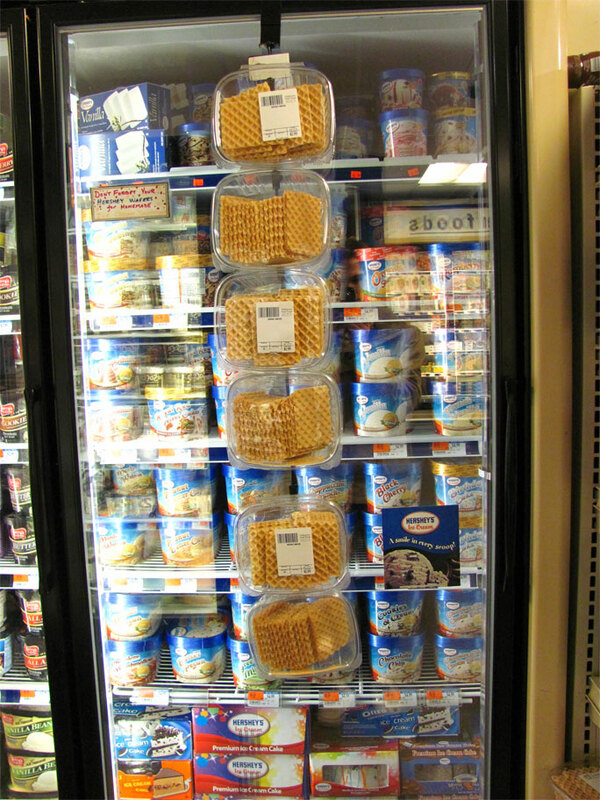 First, the grocery store in question has simply made things easier for those who were looking to purchase waffle cookies with their ice cream anyway. In turn, they’re almost guaranteed to go through with the purchase as planned. Secondly, customers who choose to make the additional purchase because of this display have increased their current order value with the store, and potentially have increased their average order value moving forward. That is, if they end up liking the waffle cookies, they might make the same purchase each time they buy more ice cream—thus permanently increasing their AOV. As we said, the main thing to consider when implementing cross-merchandising is the value you intend to bring to your customers. Think about how they can use your various products in tandem, and determine the best way to showcase this exponential value within your store. Now, one way isn’t inherently “better” than they other. And, of course, you don’t have to commit to using one or the other; you can certainly implement both approaches throughout your store. Again, your approach will depend on a variety of factors, such as the products you sell, and the experience you intend your customers to have in your store. Like we said earlier, online merchandising is a whole different animal from its brick-and-mortar counterpart. However, the principles behind the techniques used remain the same. The key as Nicole Leinbach Reyhle discusses is "to consider how customers instinctively behave - you can then apply strategies historically used in brick-and-mortar stores and apply them to your ecommerce store to mimic an in-store sales associate or in-store displays." That being said, let’s take a look at how visual, cross-, and organizational marketing manifest in the world of ecommerce. 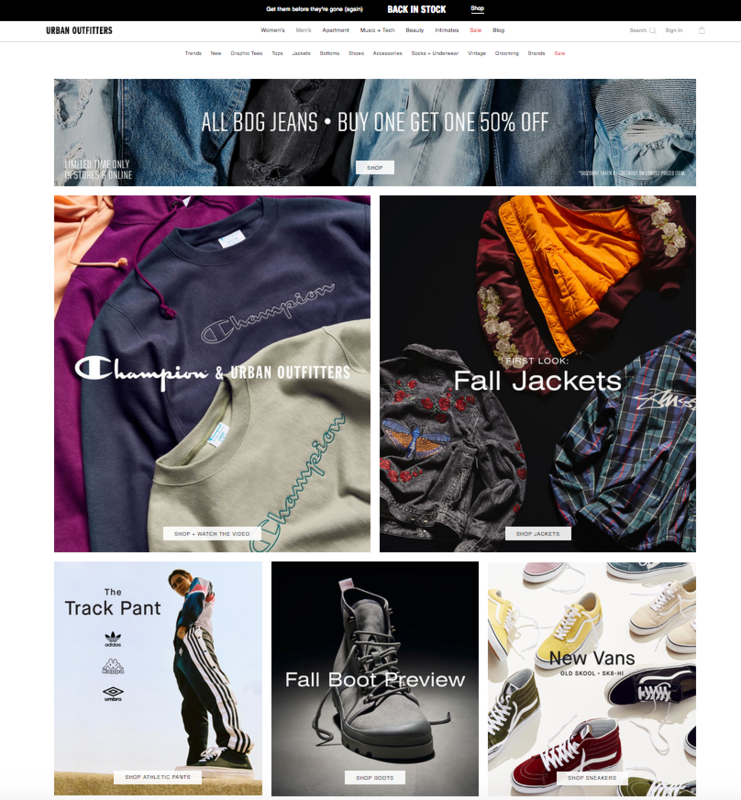 As Jasmine Glasheen notes, "These days, online and mobile retailers need to look at their website as their window display–– your website needs to reel customers in and make them want to experience more of what your brand has to offer, so it needs to have compelling, on-brand product imagery that you'd expect from a retailer's window display." 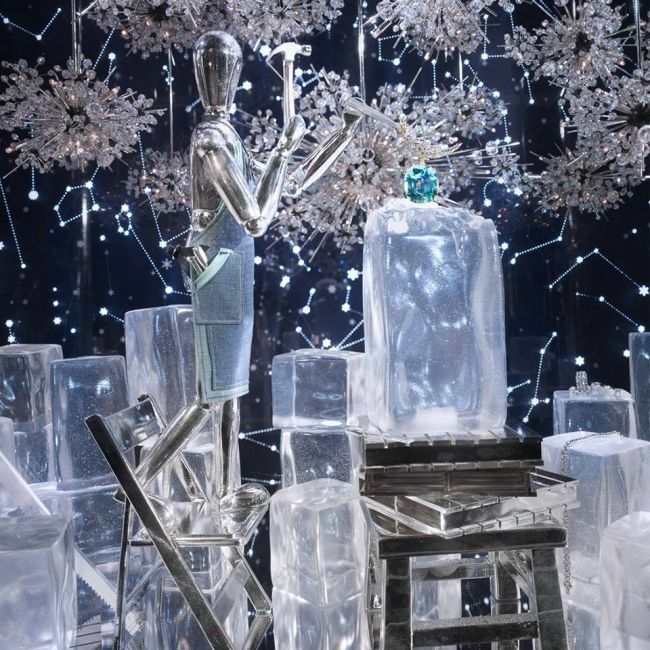 In similar fashion to brick-and-mortar stores, imagery, color, displays, and layout all come into play when considering online visual merchandising. Let’s break down these visual aspects a bit further. As usual, the company doesn’t beat around the bush, choosing instead to get right to the point. Product name; tagline; image; link. Done and done. In merchandising specific items, product descriptions are key, as are product photographs and customer reviews. Because your visitors are unable to interact with your products upfront, you need to provide them with as much visual and textual information as possible to help nurture them toward a sale. Again, the main thing is to be intentional with your choice of colors on your ecommerce site. Whether aiming to elicit a specific emotion, as shown above, or to simple align with your overall brand, you should always have a clear purpose for your choice of colors. Again, proper attention to product photography best practices is essential, here. 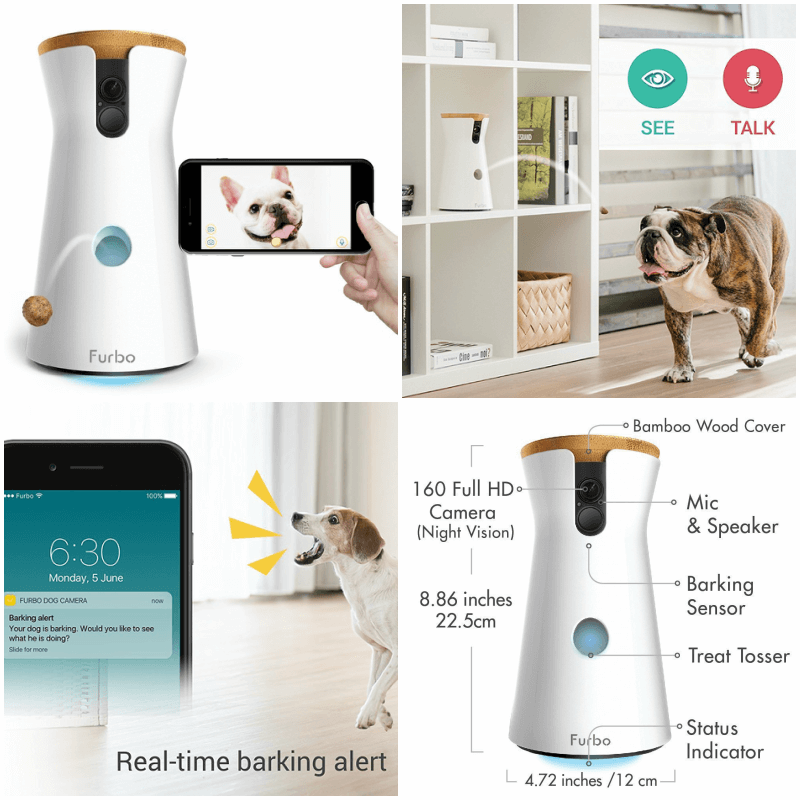 Perhaps most important is to display your products in ways that showcase specific features or processes, such as a zoomed-in picture of an engraving or a slow-motion demo video. Again, since your visitors can’t physically touch the products they want to buy, it’s your job to bring your on-screen products to life in their eyes. Just as is the case with brick-and-mortar stores, you’ll never sell the products your visitors aren’t able to find on your website. In other words, your site needs to be user-friendly and navigable. Moreover, you want to use this navigability to promote your products and enhance the chances of a visitor becoming a paying customer (or of a current customer increasing their AOV). As we said earlier, your visitors can’t buy what they don’t know exists. By organizing your products how your customers expect you to, you’ll all but ensure they find exactly what they’re looking for. We’ve already talked a lot about cross-merchandising, so we’ll be brief here. Online, cross-merchandising often comes in the form of cross-selling via automated product recommendations. These recommendations are typically generated based on the individual’s purchase and browsing history, their preferences, and the customer segment(s) they belong to. As shown above, brands commonly implement them on product pages; they’re also used on confirmation pages, in follow-up emails, and other on-site areas. And, as we mentioned above, cross-merchandising is evident on category pages and any other area in which multiple products are showcased at a single time. That being said, it’s worth mentioning that you again need to be 100% intentional when creating media for your site at all times; otherwise, you’re simply wasting a perfect opportunity to optimally promote your products. 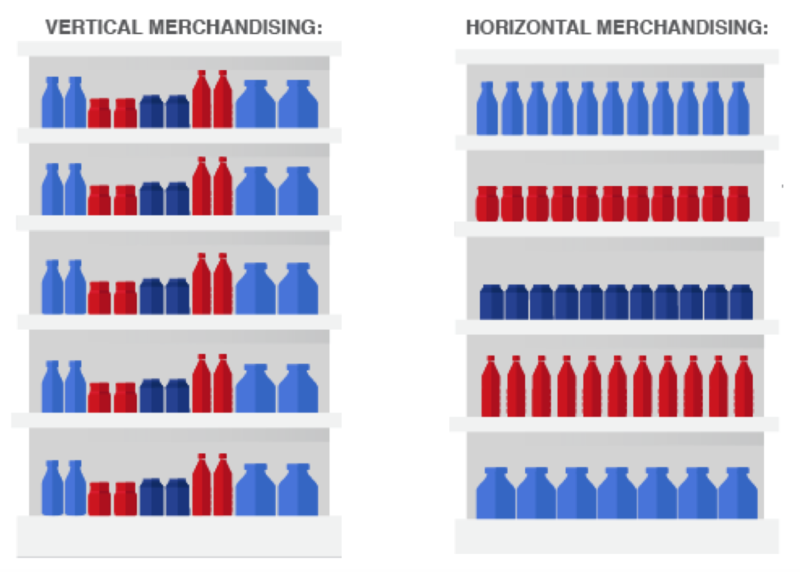 The online version of horizontal and vertical merchandising is simply in how you organize your products—as well as how you allow your visitors to organize them. As we alluded to earlier, you’ll want to get ultra-specific when it comes to categorizing your products. This means tagging information such as brand, size, price, color—and much more. The result is enabling your customer to narrow their search for a specific product or type of product with absolute ease. As shown above, I was able to find a single item using five different parameters on Bed, Bath & Beyond’s website. If I were really in the market for a black, wooden, contemporary platform bed for less than $1,500, it would be pretty easy for me to narrow down my options, here. Another aspect of organizational merchandising is something we just went over: Collections and media featuring multiple products. While we don’t need to dig too far into the topic again, let’s just reiterate that your showcased “collections” need to make sense. Be it thematic, seasonal, branded...each product featured within such content must be chosen with specific intent. Earlier on, we mentioned that merchandising isn’t supposed to be salesy in nature—at least, not always. Anyway, the point is that there’s a difference between being salesy and being promotional in nature. That said, the true purpose of merchandising isn’t simply to make a sale; it’s to showcase and promote the value your products can bring to your customers’ lives, in turn making them more than happy to purchase the items in question. The consumer is already in your store, or on your site; they want to buy from you. Now, it’s up to you to make sure they find the exact item that’s right for them.